now Introducing the New Airotile! It stays together, unlike other flexible tile mats. AiroTiles become a one piece mat, roll them, add to them, take away if needed, reconfigure, and it always stays a one piece mat that will not fall apart! The New and Improved Airomat is now AIROTILE! ​Create your own mat, any width, any length, any configuration (a new mat and flooring system, create any size mat you want). AiroTile is a 12"x12" tile mat, 1/2" thick. We kept the great large square opening design, but improved on it! ANY WIDTH OR LENGTH down to the inch (rolled matting also) Custom (made for you) or Standard (stocked for you). All at the same low price. Less surface, more air (like walking on air) as you step your foot rests on supportive material and creates pockets of air for superior relief. Debris falls into and through openings, safer and easier cleaning. Liquids flow through also. Cross-tread and large square openings create traction and safety. Easy Cleaning, this flexible mat rolls up and leaves the mess on the floor not caught up in the mat. Get the fatigue relief and safety on the mat while debris and liquids fall down and away. The unique design gives this mat superior flexibility and yet durability with its PVC strips. Airomat is Hand Made in the USA! Use on; floors, downdraft tables, work stations, in compartments and more. Use with; people or vehicle traffic, animal areas, in vehicles (protect and stop sliding) and more. Available in 9 colors; combined in pattern desired. Stock sizes available for customer that purchase on a regular basis. Rolled matting available in any length needed. A great way to stock, purchase a roll and cut off pieces as needed. A 10 cent per square foot discount available for 50′ and longer. Custom colors and sizes are the normal, no extra charges! 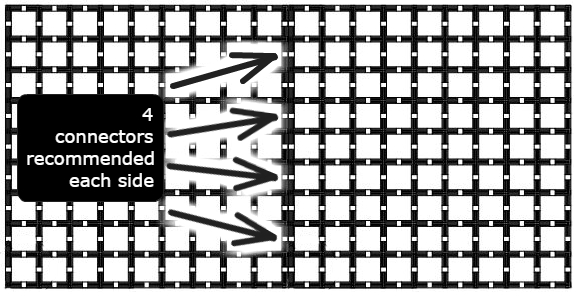 Shipping weight figured from the total square feet multiplied by 1.05 (example; 6 tot square feet multiplied by 1.05 = 6.3 round to nearest 1/2lb would be a total weight of 6.5lbs. Shipping costs, matting costs, and the design of the mat(s) will be confirmed with you and your matting specialist before your order will be completed – Our personal touch, and customer service is job one with us! 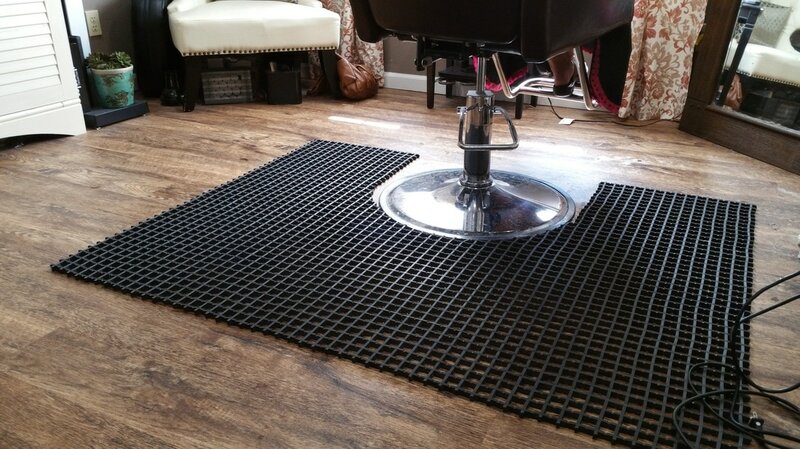 ​commercial floor mat. With a wide range of uses, not all are listed. Not all Uses are Listed Below!